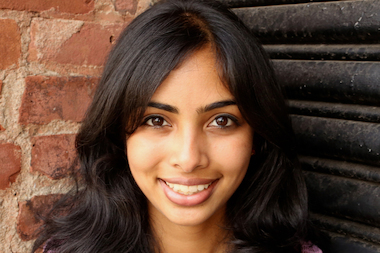 Nikhita Venugopal is a Reporter/Producer covering Cobble Hill and Carroll Gardens. Nikhita joined DNAinfo.com New York after she moved to the city from Bangalore, India, to attend Columbia University Graduate School of Journalism. In the past, she’s written about music therapy for children with autism, the impact of cyber-bullying on New York City students and an Indian university who attempted to ban Muslim women from wearing burqas. After spending the summer as an intern at DNAinfo.com New York, she moved to Washington D.C., to work at Education Week, a newspaper that covers national education news. Nikhita’s work has appeared in The Atlantic online, Education Week and MetroFocus, among others. Fun Fact: Nikhita was officially named at a pub in Fort William, Scotland, when she was just a few weeks old. Her grandfather took her to the pub’s stage and announced it to everyone. Everything you need to know to get the most out of the Black Friday deals in your neighborhood. There's a variety of volunteering opportunities for New Yorkers who want to help those in need. The white population is up an estimated 320 percent since 2000, according to the U.S. Census Bureau. Regular Visitors, at Smith and Bergen streets, opened mid-November. Councilman Brad Lander and others refused to stand during the Pledge of Allegiance in September. Tensions over Donald Trump's victory caused the dispute at Bar Tabac, a manager on duty said. Local advocates have spent years pushing for the system's operation at the cruise terminal.